Spiritual Nutrition has an offering of products and services to connect you back with your truest nature. 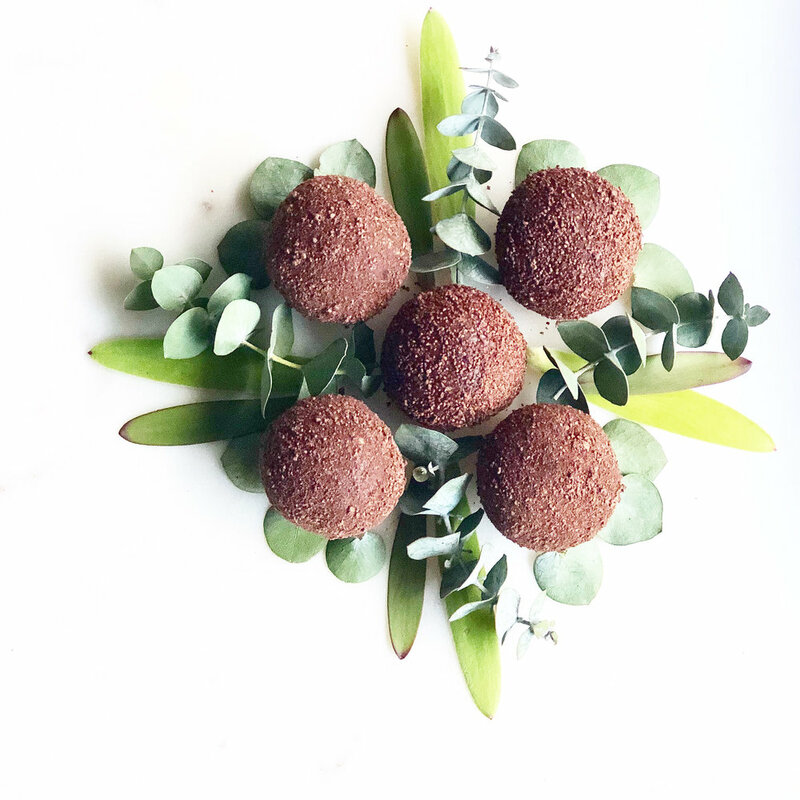 Our offering includes handmade Australian Bush Flower Essence infused vegan, gluten-free, refined sugar free nourishing treats to satisfy your sweet craving and balance your emotional well being. As well as handmade Reiki infused Australian Native Smudge Sticks to clear and rejuvenate your home. Catherine is a Naturopath, Reiki I & II practitioner and Sound Healer. Her passion is to bring you back into balance and connect you with your truest nature. In these 1 hour sessions, Catherine works as a facilitator and conduit to channel higher energy to revitalise your energy centres (chakra’s), and support your emotional wellbeing, while also serving as a mentor to guide you on your journey within. Catherine also dispenses Australian Bush Flower Essences for you to take home. Is your home, office, or shop in need of revitalising? Catherine offers 1 hour energetic clearing with a complimentary Spiritual Nutrition Australian Native Smudge Stick of your choice, Sound Healing, and Reiki on each of the walls, floor, and ceiling. Your space will feel uplifted, clear of negative energy, and Catherine will also help to mentor and identify intentions that need to be set within the space and work team or home environment to further enhance and uplift. Are you in need of a nourishing, incredibly delicious treat? Some refer to them as protein balls, but we have named them nourishing treats because they offer so much more. Our five flavours of handmade, vegan, gluten-free, refined sugar-free, delicious sweet snacks are not only packed with predominantly organic whole food ingredients, they are also infused with unique collections of Australian Bush Flower Essences. 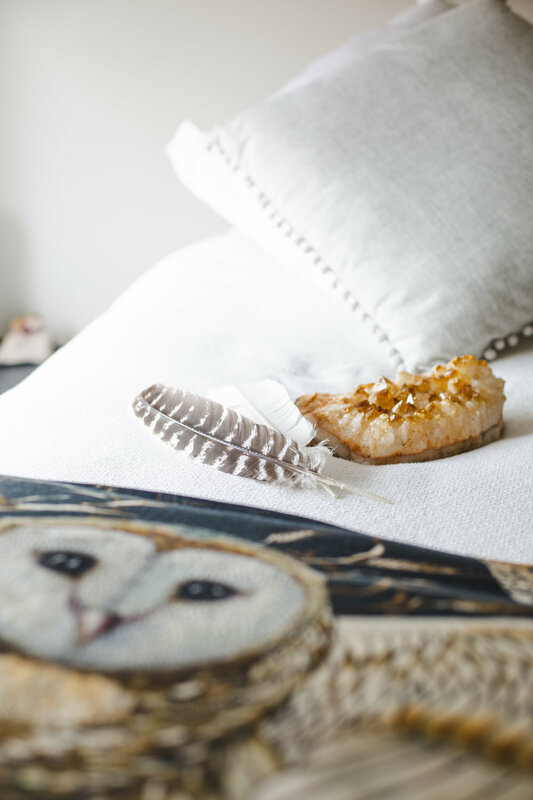 These nourishing treats have been created to support you physically as well as emotionally. Each of the treats have been named after a specific gemstone, and its energy links into the energy of the flower essences and a corresponding chakra in the body. They also each come with their own affirmation to connect you back to your heart space and truest nature. Eating one of these treats is a unique and mindful experience transporting you back to the present moment. These stunning handmade smudge sticks are made from 100% Australian native plants. They have also been infused with reiki and sound energy to further enhance their intention and power. You can use these special smudge sticks to clear your own energetic field and you can also use them to clear your home, office, or shop space. There are five different smudge sticks to choose from in our range and they are each connected to a chakra and have an affirmation you can recite while using them. We are incredibly passionate about supporting the deeply spiritual land of Australia and its Indigenous communities. 10% of the profit that we make through your purchase of a Spiritual Nutrition Australian native smudge stick is donated to reddust.org.au to help enrich lives, improve health, and strengthen the future of Indigenous youth and families. Introducing our newest product and first of the Spiritual Nutrition Healing Space range. This Energetic Clearing Mist was initially created to be used in the Healing Space, as the combination of Australian Bush Flower Essences and essential oils clears negative energy in your energetic field as well as in the space. This mist also works to uplift and calm. Catherine our founder and director is a Naturopath, Reiki I & II practitioner, and Sound Healer. Combining these modalities, Catherine gives you a wholistic approach to your health and journey back to your truest nature. After a long journey back to her truest nature, Catherine knows what it takes to do ‘the work’ and is deeply passionate about helping and guiding you into balance and peeling back the layers so that you can live a life aligned with your purpose and grounded in love, deep self acceptance, and gratitude. In these 1 hour sessions, you will receive a Reiki and Sound Healing treatment, mentoring, and a complimentary bottle of Australian Bush Flower Essences to take home that have been prescribed especially for your needs, to help work through any presenting emotional imbalances. The space in which you live and work are just as important to care for as you are. They are an extension of yourself. Just as we can experience blocked energy flow within us, our environment can also begin to feel stuck and in lacking flow. During this 1 hour session, Catherine will consult with you to discover how you are feeling in your space, how you wish to feel, and how you can infuse that intention and feeling into your space moving forward. You get to choose a complimentary Australian native smudge stick that resonates with the intention you would like to set. Catherine will use that smudge stick along with sound, flower essence clearing mist, and reiki energy healing to reset each wall, floor and ceiling of your space. Every Thursday, normally in the morning doing something that doesn’t require much thought like drying her hair, Catherine receives what she likes to call ‘Spirit Mail’. It’s a download of inspiration of a topic to explore, to write about, it is her journey of getting to know herself, learning from people, experiences, life.